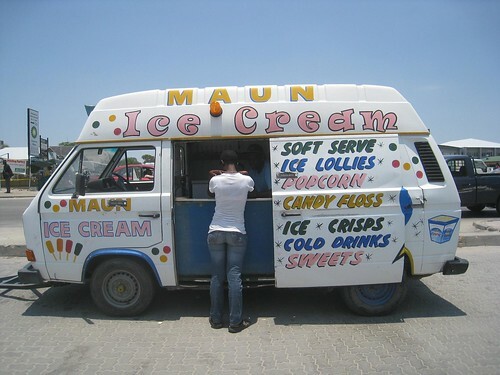 Ice cream truck in Maun. After two months of traveling South Africa, from Cape Town to Kruger Park, I still wasn't ready to leave the region. South Africa is the most developed country on the continent, and therefore in my mind, not the best representation of it. Before heading to Egypt, I booked a week long trip to Botswana's Okavango Delta. It required a lot of driving, but it was worth it once we were gliding through the Delta waters in our mokoros, and going on game walks looking for wildlife. Glad you posted this. I'm actually trying to plan the Southern Africa leg of my trip right now! Great flashback post. I didn't see any of your southern Africa posts at the time so really enjoyed them. Thanks! Thanks for your articles on Africa, I hope to visit there ina one year’s time.